How Music can increase the productivity of your supply chain? Conventional wisdom dictates that a picture is worth a thousand words and stories are worth a thousand pictures. I believe that…and I use stories in my presentation regularly. Of course, picking the right story is critical to making the biggest impact. Sometimes, though, I have an audience that speaks a completely different language. How do you communicate to inspire then? I think the answer is music. My daughter has been singing since she was five, starting by spitting out sentences in a rhythmic pattern and then moving on to making up songs. She starts singing as soon as she gets up in the morning, even when she’s brushing her teeth. We got her a toy guitar and enrolled her in music school where she is learning to play the piano and the guitar and even to write songs. Now, she even has her own YouTube channel. She has really taught me about the power of music. I’m sure you’ve had the experience of being drawn to certain songs without realizing why. Perhaps you listen to it again and again (that’s why they call these “sticky” songs ear-worms!). Songs, perhaps because of the rhythms of it or the singers voice, can make you feel good, and on a bad day, can make you feel better. If a singer or an artist can make something that gets into people’s head even without them realizing it, that is a very powerful influencing skill. So, what does this have to do with supply chain? I know one amazing supply chain practitioner who brings a lot of passion to the job he does. He’s always looking for ways to make things better. He tried an experiment where he gave the pickers in his warehouse Internet access for their iPods. 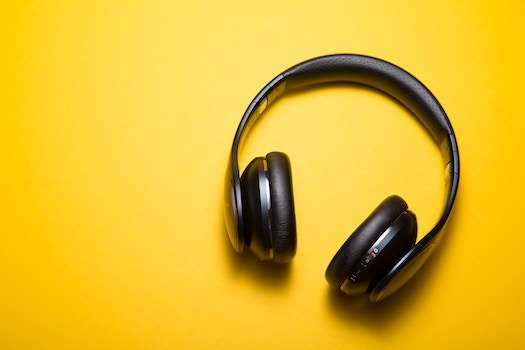 He added an extra service set identifier (SSID) to allow workers to connect to the Internet and listen to their favorite songs while they worked. His idea was that the pickers could tune into their songs and focus even more on their work without getting sidetracked by external distractions. The initial returns were good—workers were more productive. Unfortunately, the IT department shut down the SSID because it was causing Wi-Fi issues for others. I’m sure he’ll find other ways to capture the gains offered by music. Has anyone else tried music-based programs to add value in the supply chain? We’d love to hear about it. Let us know in the comments section below.